Now more than ever, having an effective online presence for your business is a necessity. Setting your business up to be found in Google, Yahoo, and Bing is a great way to expose your brand or business to new potential customers. 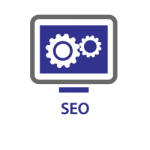 Our free SEO analysis tool can help you identify key issues on your site that may be preventing you from achieving high rankings in organic search. Enter your site details below for a free, no obligation SEO analysis of your website today! Do You Need SEO Consulting in Atlanta? If you are not satisfied with the results of your free SEO analysis, contact MarketBlazer today to discuss how our SEO Consulting services can help to improve your business' presence online.